Cemeteries are public libraries of stories. But they aren’t sustainable spaces--ecologically or culturally. Our world is increasingly urban, urban land is limited, and we can document and preserve everything digitally. How and where do we remember in a land-starved, digitally-documented era? What is “permanence” in our rapidly urbanizing world? And what happens if our documentation technologies prove to have short shelf-lives? For those who don't know: my name is Katie Thornton, and I am a Fulbright - National Geographic Digital Storytelling Fellow, cemetery researcher, and radio journalist. In the 2018-2019 Fellowship year, I’ll be in producing “Death in the Digital Age,” multimedia project about the changing role of cemeteries in our land-starved, digitally-documented era. "Death in the Digital Age" uses audio and multimedia platforms to explore the changing role of cemeteries worldwide. I begin in September 2018 in the UK, and in February of 2019 move to Singapore. Both are multicultural, island nations where land limitations and changing demographics have already led to significant changes in memorial landscapes. The project will culminate in a short podcast series, which be released in 2019 or 2020. 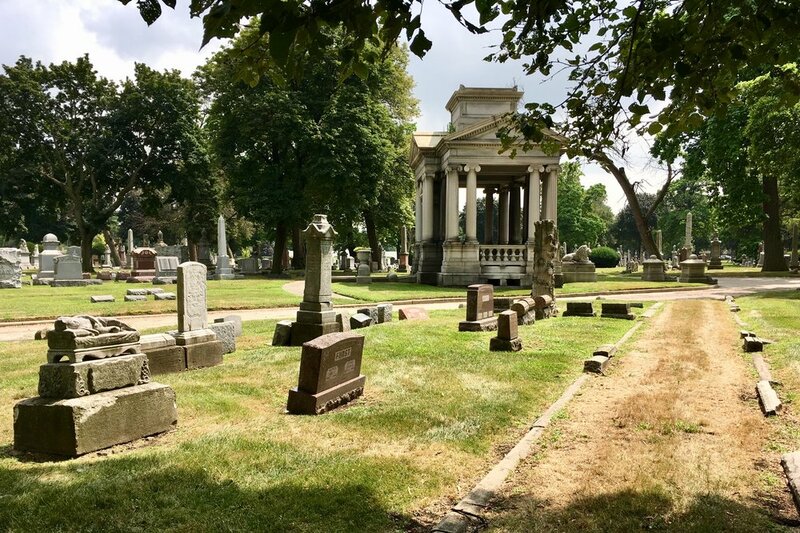 This project collaborates with and gathers stories from cemetery staff, urban planners, historians, engineers, and families of the dead and dying to explore the intersection of memory, land use, and technology. A lot is at stake right now. Without planning, the stories buried at cemeteries could be lost forever--stones crumble or get removed for urban development; both occurrences are taking place in the UK and Singapore. And, those documentation technologies we use could prove to have very short shelf lives. But, with creativity, stories of the past and present could be preserved in more engaging, accessible ways. Throughout the fellowship year I will be posting project updates and on Instagram and sharing writing and short audio features on my project blog. Blog updates will also be shared on National Geographic's "Death in the Digital Age" Open Explorer page. And don't forget to sign up to receive email updates!